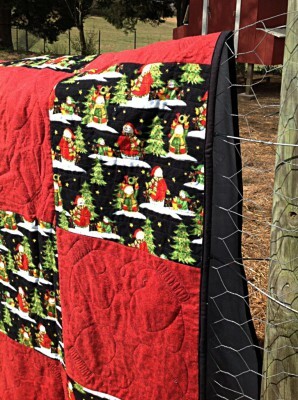 This cosy quilt belongs in front of a fireplace with a cup of hot chocolate. 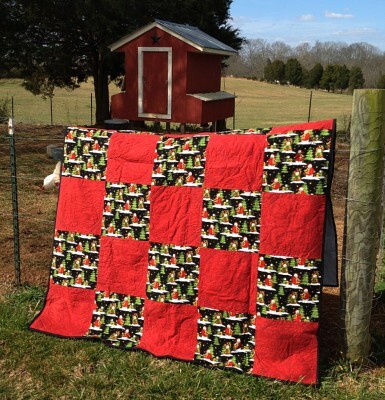 The front is heavy flannel pieced in squares, with a snowman print alternating a tiny red check. The backing is a soft grey fleece. 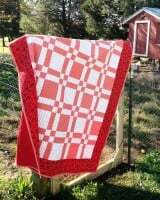 Each red square is quilted with a circle of four mittens done in a free-motion technique. 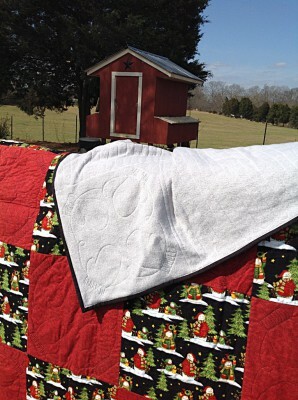 The snowman squares are also free-motion, with a horizontal back and forth pattern resembling snow drifts.